We put all your ecommerce functionality behind an intelligently designed web interface. 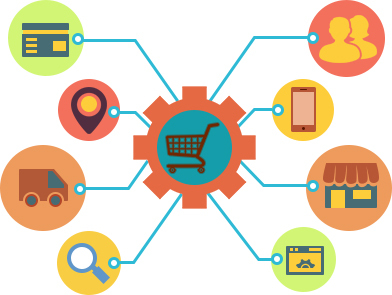 We can create a front end shop for you that will appeal to your customers and make shopping on your website easy and useful. In addition, our e-Commerce system is scalable and robust. One can easily add new features later. We use the latest AJAX components, which makes it easy for the user since page refresh is avoided as much as possible.